At Empire of the Kop, we really don’t understand the mindset of supporters who while witnessing Liverpool handing out a 7-0 Champions League drubbing, take time to slate the club captain on Twitter. 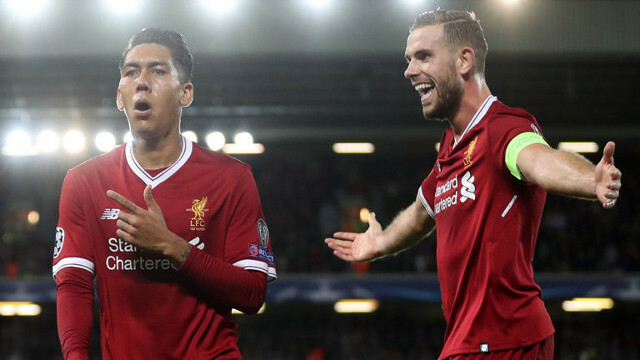 Jordan Henderson was rested for the trip to Slovenia and watched his team-mates put Maribor to the sword from the bench, with Jurgen Klopp choosing a midfield three of Emre Can, Gini Wijnaldum and James Milner. The latter especially did excellently, but can’t we enjoy Milner’s performance as a separate entity rather than abusing Henderson at the same time? We can understand some of these tweets which suggest the vice-captain should take the captain’s place v Spurs at Wembley – but the ones which simply slam Hendo for no apparent reason are ridiculous. It’s positive. Let’s focus on the good stuff and encourage some more thrashings like we saw last night. Some people is getting curious that flowing of the game against Maribor becoz Henderson was dropped on the bench. Agree reds? The biggest lesson we learned from Maribor is that Henderson was obviously the reason why our forwards weren't taking their chances. Even though Maribor are very poor we wouldn't have won this game 7-0 with Henderson IMO he is slowing us down and very often stuck our attack he is just not right for this team. Should Jordan Henderson start against Spurs? Jordan Henderson is the reason #LFC cannot conpete. Not a runner anymore, out of position, accommodated, spineless, not a leader and shite.